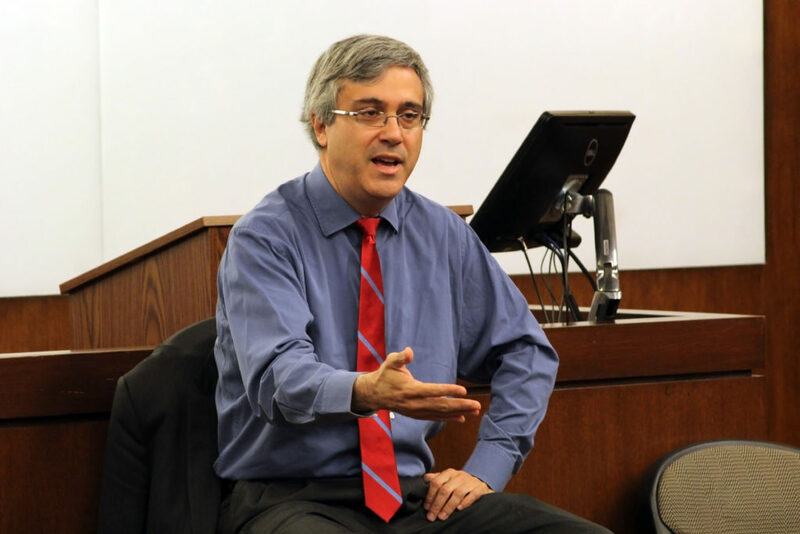 Thomas Saenz, president and general counsel of the Mexican American Legal Defense and Educational Fund, recently spoke at the Law School to an audience of students, faculty and staff. 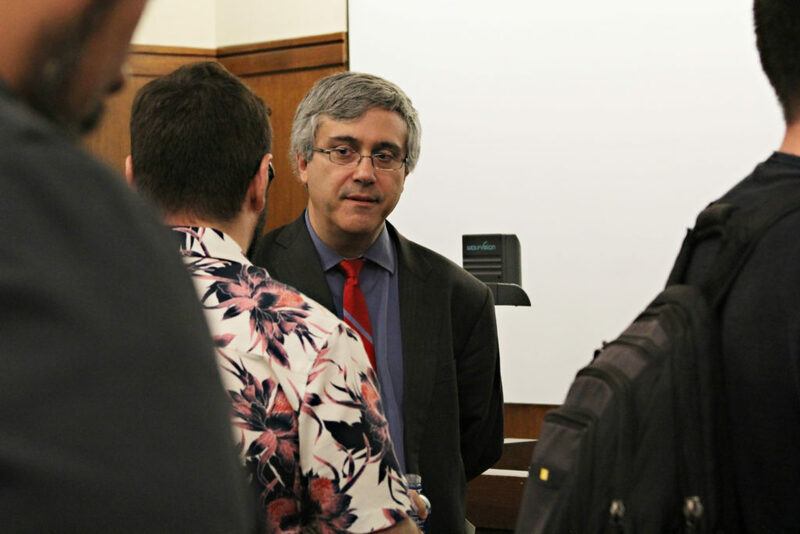 His lunchtime talk, “Latino and Immigrant Rights in the Trump Era,” addressed MALDEF’s current work advancing the rights of Latinos across an array of legal and policy fronts. Saenz, who is based in Los Angeles, rejoined MALDEF as president and general counsel in 2009, after four years on Los Angeles Mayor Antonio Villaraigosa’s executive team. He previously spent 12 years at MALDEF practicing civil rights law, including four years as litigation director. 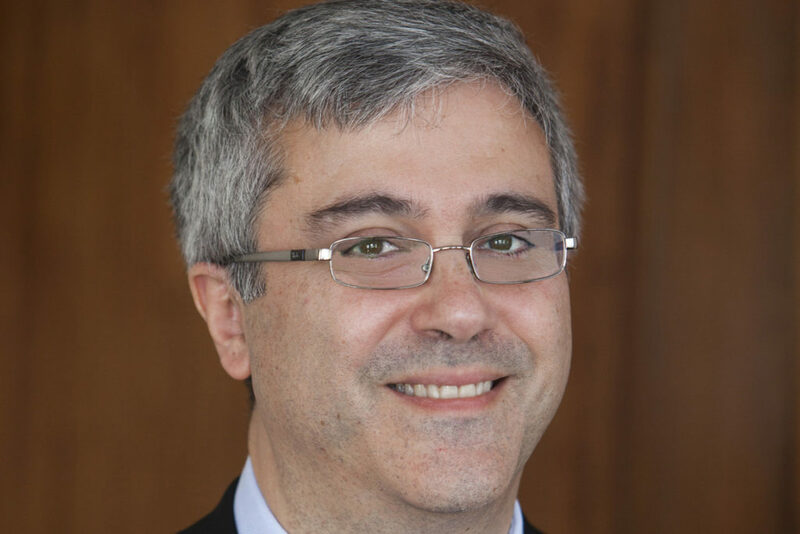 Saenz clerked for two federal judges before initially joining MALDEF in 1993. Saenz was in Austin for the LBJ Foundation’s Summit on Race in America, hosted at the LBJ School. The William Wayne Justice Center for Public Interest Law and the Rapoport Center for Human Rights and Justice cosponsored the talk. They were joined by three student organization cosponsors – the American Constitution Society, the Chicano/Hispanic Law Students Association, and the Public Interest Law Association.